If you want to be the best, the saying goes, you have to beat the best. Shaun Deeb has been so successful during past SCOOP series - he has five wins and countless final tables to date - that defeating him at a final table has almost become a rite of passage in itself. There might not be a DeebBuster achievement or merit badge just yet, but if one ever becomes a reality, omaha4rollz will be among the recipients after besting the five-time SCOOP winner and four others to take down the title in Event #3-H of SCOOP 2016. A $2,100 No-Limit 5-Card Draw tournament, Event #3-H drew the kind of elite field we've come to expect from the highest buy-ins of the modern game's more arcane variants. Only 36 players bought in, accounting for 15 re-entries between them to build a $102,000 total prize pool. With only the top six being paid and Day 1 scheduled to continue until the final table had been reached, the only players earning cash would be those who made it through the day. All-time SCOOP wins leader and 2014 SCOOP Player Of The Series Calvin "cal42688" Anderson busted his second entry in 19th place and didn't enter again, but the three players directly behind him on that list were still in the hunt for a title late into Day 1. Four-time SCOOP winner George Danzer eventually bowed out in 9th place, and this event's defending champion, four-time SCOOP champ Jason Mercier, followed him in 8th place. Of those trailing Anderson, only Shaun Deeb held on to make the final table. In doing so he not only earned what history says is likely to be the first of many SCOOP 2016 cashes for him, but also a chance to win a sixth career SCOOP title. Deeb was characteristically aggressive and his stack saw more movement than anybody else's in the early going. He would fall as low as 15,861 chips but finished out the first hour of the final table with 56,677. That kept him five big blinds ahead of WCOOP 2015 winner & recent Sunday Million runner-up Vladimir "vovtroy" Troyanovskiy and 10 ahead of raidalot, while Adamyid (169,783), omaha4rollz (109,265), and Friend of PokerStars Felipe "mojave" Mojave (88,299) led the way. The blinds and antes had risen from 700/1,400/350 at the final table's start to 1,000/2,000/500, and while nobody was feeling direct pressure, even a small loss would be enough for the short stacks to find themselves up against the wall. The only question was who would wind up there first. That turned out to be 2012 & 2014 SCOOP winner raidalot", who fell to 20,235 chips after losing a small pot to Adamyid. Deeb took a stab at knocking raidalot out with a pair of aces a few hands later, but raidalot held three deuces to take the pot and get back to 31,910. Two hands later he moved all those chips in from the cutoff seat before the draw and held onto A♥ A♠, called by Adamyid in the big blind. Adamyid held four cards and showed down J♥ J♣ 4♣ 4♦ T♥, good to take the pot against A♥ A♣ 2♠ 7♥ K♥ and send deny raidalot a third career SCOOP title in 6th place ($5,610). With the table five-handed, Shaun Deeb maintained the aggressive stance that had kept him in the game so long, but this time the SCOOP watch wasn't to be his. He finally hit the end of the line for this tournament on a hand in the big blind. Dealt two pair before the draw, he re-raised all-in for 37,902 after seeing an opening raise to 4,800 by vovtroy and a call from mojave. vovtroy folded but mojave called, and both he and Deeb held four cards each. Deeb showed down Q♣ Q♥ 2♠ 2♦ 5♠ for queens and deuces, but that couldn't beat Mojave's three of a kind with A♥ 3♥ A♣ T♠ A♠. With that, Deeb exited in 5th place ($7,650). The rich were determined to get richer and so they maintained control of the table. And while neither omaha4rollz nor Adamyid would pull away from the pack, their chip stacks helped them to keep the other guys from making any progress of their own. vovtroy was able to triple up in a pot after being dealt a queen-high straight before the draw and standing pat, but only after losing small pots to drop down to 13,570 chips. And even with a few wins that took him over the 100,000-chip mark, mojave mostly found himself playing only the very strongest hands and otherwise hanging back. Meanwhile the blinds and antes continued to progress, adding more pressure to mojave and vovtroy's already stressful situations. vovtroy tried to scrape back in with some aggression in a hand from the small blind, re-raising to 14,000 after Adamyid opened on the button for 5,600. Adamyid called, vovtroy discarded two, and Adamyid discarded three. Then vovtroy led out for 16,800 after the draw, leaving just 6,418 chips behind. Adamyid considered his options long enough to draw on the time bank but ultimately called, showing down a pair of queens with Q♦ Q♥ J♥ 7♦ 4♥. That was good, as vovtroy had been over-representing his pair of tens with K♠ T♠ T♣ 7♠ 2♦. Dealt a pair of eights before the draw a few hands later, vovtroy jammed and ended up heads-up with omaha4rollz, who held a pair of kings. 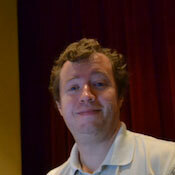 Both players discarded two, neither improved, and vovtroy left the tournament in 4th place ($10,200). Not long after that a couple of pots ate into Adamyid's stack for the first time. He opened the first for a minimum raise on the button and called when mojave moved all-in for 38,913, holding the K♠ K♣ and drawing three new cards. mojave discarded just one and showed down A♠ A♥ 5♦ 5♣ T♥. That beat Adamyid's unimproved kings and took the 79,926-chip pot. The next hit was significantly bigger, and this time it directly benefited the chip leader. Adamyid opened this pot for 5,600 on the button, mojave called in the small blind, and omaha4rollz re-raised to 19,988 from the big blind. Both of the other players called, building a 62,064-chip family pot before the draw. mojave took just one card in the small blind, while omaha4rollz and Adamyid both drew three. omaha4rollz thought for a few moments after mojave checked, then bet 50,400. Adamyid called relatively quickly, mojave folded, and then omaha4rollz turned over A♣ A♠ K♣ K♦ K♥. Having drawn three cards to make a full house, the Hungarian player took the 162,684-chip pot. Alone at the top of the leaderboard now with a touch over 350,000 chips, with both opponents were under the 100,000-chip mark and the blinds and antes continuing to encroach, omaha4rollz looked ready to run away with the tournament. Though the win would come, it would take another 50 minutes to arrive, proving that very little comes quickly in a Draw game. omaha4rollz's steadily aggressive small-ball approach kept the chips coming, frequently winning the blinds and antes and avoiding confrontations when the shorter stacks actually had a hand. The only question was whether the leader would take out one of the other two players or whether they would end up confronting one another. In the end it was the latter, after Adamyid opened for 4,000 on the button and mojave jammed for 52,896 in the small blind. Adamyid called and drew one card, showing down 5♦ 4♠ 2♣ 2♦ 5♣ for fives and deuces. mojave's pair of aces with 4♥ A♣ A♦ Q♠ 8♣ couldn't top that, and the Friend of PokerStars bowed out in 3rd place ($15,300). Adamyid was a little worse than a 2-to-1 underdog in chips and looked to make up some ground early through sheer aggression on a hand in the big blind, re-raising to 20,000 after omaha4rollz opened for 8,000 on the button. omaha4rollz called, discarded three, and then moved all-in after Adamyid drew one and led out for 28,000 chips. Adamyid couldn't call, giving omaha4rollz the 98,000-chip pot and dropping his own stack to 86,836. Seven hands later omaha4rollz held a pair of queens and picked up a third queen on the draw to win a 90,000-chip pot. That left Adamyid with just over 58,000, all of which went in two hands afterward as a re-raise before the draw with Q♣ Q♦. He discarded the other three cards but improved no further, but omaha4rollz, who also held one pair on the draw, picked up a second pair on it to make J♦ 7♦ A♥ J♥ 7♥. Jacks and sevens beat queens, and the tournament was over. It was a continuation of form for Adam "Adamyid" Owen, who took second place on the final day of SCOOP 2015. This time he earned $25,500 and still has two full weeks of poker to grab that first career SCOOP title. Meanwhile omaha4rollz collected $37,740, the SCOOP champion's watch, and a second career COOP title after winning an event during WCOOP 2015. Congratulations to both players for getting off to a strong start in this series!